Royal Jones is always trying something new to improve fuel economy. The president and CEO of Mesilla Valley Transportation is known as an early adopter of technologies from 6x2 drivetrains to trailer aerodynamics — even going so far as to make his own prototypes. That’s what he tried about five years ago with solar power, installing panels on the truck cab to extend the amount of time electric auxiliary power units could operate. The aerodynamic penalty was too great, so he abandoned that particular effort. However, he discovered that the batteries on those trucks were lasting far longer. 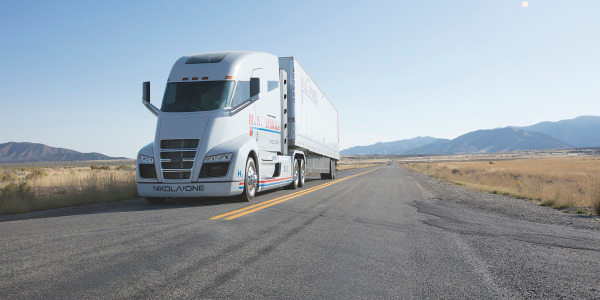 Today, newer, thinner, flexible solar panels have solved the aerodynamic problem, so the Texas-based truckload fleet now has several hundred of its Navistar trucks running with eNow’s auxiliary solar system. This has resulted in less idling, longer battery and alternator life, and increased driver satisfaction. And that’s not the only way fleets are using the power of the sun to save money on fuel, improve driver comfort, reduce maintenance costs, and improve uptime. 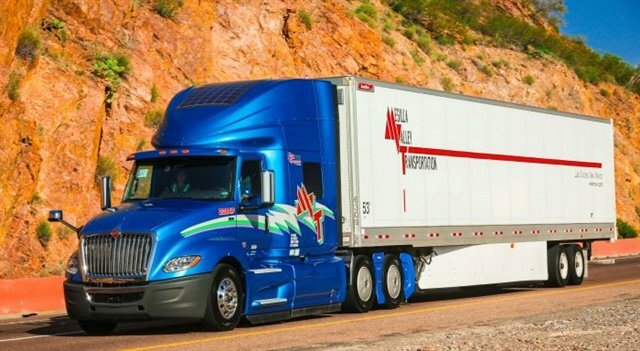 Another proponent of solar panels for trucks is Montreal-based Groupe Robert, one of Canada’s largest trucking companies. Solar panels help it keep drivers comfortable without idling, keep batteries charged in cold weather, and keep batteries charged on methane detectors on trucks powered by liquefied natural gas. In its idle reduction efforts, Robert found that electric APUs were preferable to diesel ones — except the battery life was limited to about six hours. In 2012, it tested a single solar panel mounted on the roof fairing and found it upped that to about eight hours, explains Daniel St-Germain, vice president, material resources. 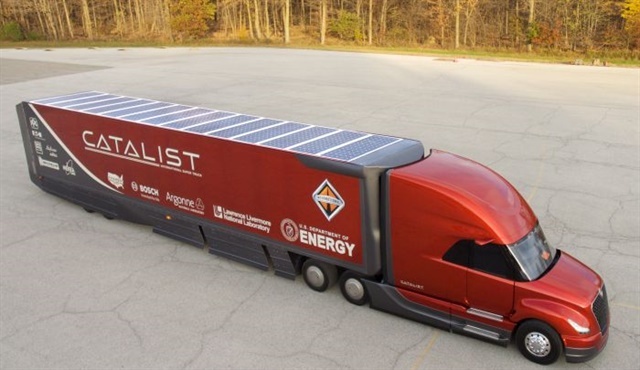 But he found that for a little bit more, the carrier could install six flexible solar panels on the roof fairing and the hood (600 watts total) with four deep-cycle batteries, giving drivers a full 10-hour rest period of noiseless sleep. It now has those on more than 150 units. The expected return on investment, based on fuel savings, is 3.5 years. One disadvantage, of course, is that there’s less solar energy available in overcast, rainy weather — thus the deep-cycle batteries to store reserve power. K&J Trucking, Sioux Falls, South Dakota, uses diesel-powered APUs, but it has found another driver comfort application for its ThermoLite solar panels from Thermo King. It’s testing a solar panel on the cab to charge the refrigerator in the sleeper when the driver’s off the truck for extended periods. The normal policy if a driver is going to be gone for more than 24 hours is to empty the refrigerator and turn it off. With the solar panels, they don’t have to, making it that much easier for drivers to keep healthy options handy. Driver comfort in the cab isn’t the only arena where solar power can be a big help. 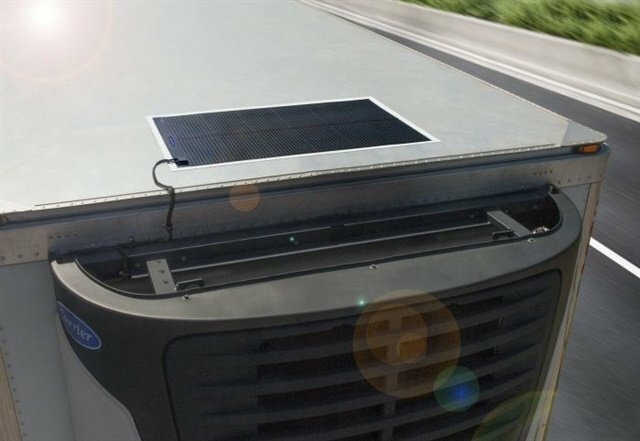 For instance, Thermo King’s ThermoLite solar panel solution was developed to provide an alternative power source to both refrigerated and dry van fleets and offset battery drain from parasitic loads. It allows Thermo King’s TracKing or other telematics systems to monitor assets over long periods of time, even when the refrigeration unit is off and the trailer’s untethered from the tractor. K&J Trucking started testing the Thermo King solar panels four years ago on five trailers. After two years, they liked the results well enough to spec them on a new trailer order replacing half the trailer fleet. Although the solar panels cost more, by that point the return on investment was clear, according to K&J Maintenance Manager Lou Charette. “The solar option works well for us on the reefer end because trailers get into places [where they shouldn’t], and with tracking devices they tend to drain batteries in a two-to three-week period. A trailer shouldn’t sit that long, but they do, it’s as simple as that. With this, the battery is constantly ready.” In addition, he says, battery life has been significantly extended. 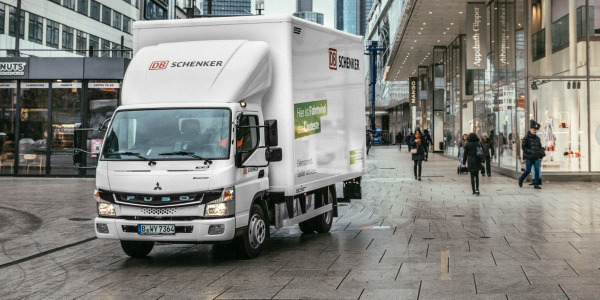 “It makes it so we can spot the trailer at any time, because if the battery goes dead, the GPS tracking goes out.” It also eliminates middle-of-the-night service calls for jump-starting. Similarly, Carrier Transicold offers a solar power solution with its Thin Film Flexible Solar Panels, specifically designed to maintain the refrigeration unit’s battery charge. They can be installed on the roofs of trailers and truck bodies chilled by Carrier Transicold or other systems. Carrier says the solar panels can offset the draw from accessory electrical devices, reducing callout charges related to the battery. 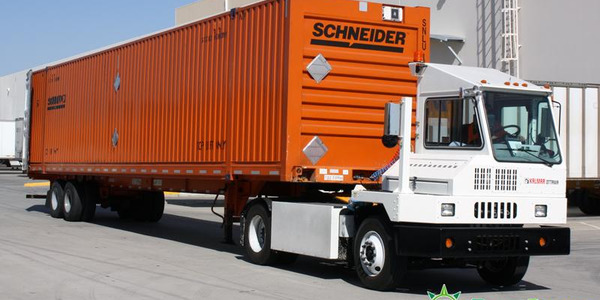 Solar panels can also help save fuel by minimizing the need to run the reefer engine to charge the battery. Purkeys has a product called Solar Bolt. Installed on the roof of a trailer, it provides a constant charge to electrical accessories such as liftgate batteries and reefers. Depending on the type of liftgate, the Solar Bolt can produce enough charge to power 10 to 100 additional lifts every day, according to the company. Spireon and Skybitz both introduced solar-powered trailer and asset tracking and telematics solutions in the latter part of 2016, and both are announcing updates to those products. 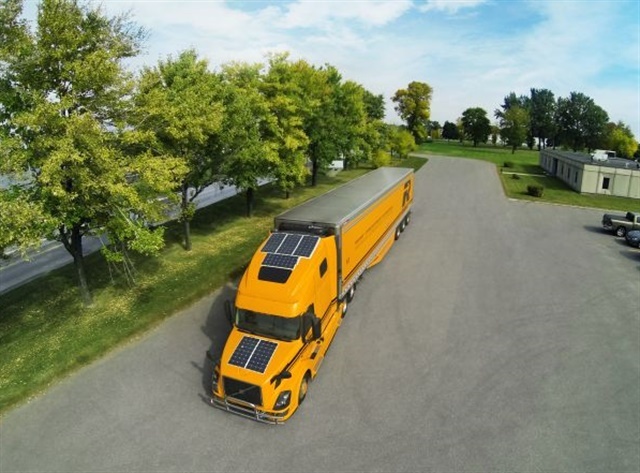 In addition, Truck-Lite is using solar-powered wireless sensors and a solar-powered control unit for its new Road Ready trailer telematics announced earlier this year. Spireon’s FleetLocate Solar is a trailer-mounted all-in-one solar panel and telematics unit. Trailers can gather telematics information without power from an external battery. Solar power for trailer tracking is something customers asked for, says Roni Taylor, vice president of industry relations for Spireon. “So now the industry has come to a point where solar panels are small enough and strong enough to conveniently harness the energy from the sun.” Using the same polycrystalline technology used in traffic lights and streetlights, she says, the solar panels constantly provide a trickle charge to the rechargeable lithium-ion batteries — even on overcast days. And it doesn’t cost any more than the non-solar version. “We add a secondary level of recharge so you can tie into the tractor power as well,” she explains. 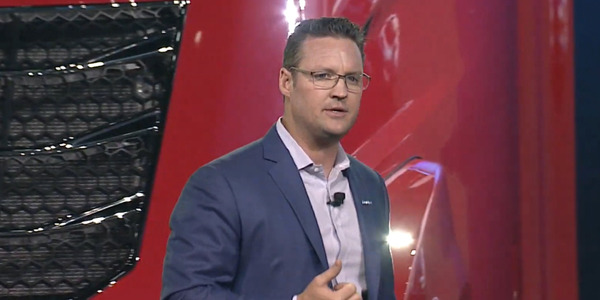 The solar option “is particularly good for fleets who drop trailers for an extended period of time and for leasing companies,” Taylor says, noting that customer Premier Trailer Leasing is switching to Spireon’s solar tracking product. Exceptions, she says, would be flatbed operators and those using covert devices that are mounted underneath trailers where a solar panel would not work. In late 2016, Skybitz introduced the Falcon GXT5000 solar-powered GPS asset tracking system. The popularity of the device has prompted Skybitz to take it a step further, says SkyBitz President Henry Popplewell. The next-generation Falcon GXT5002C, available this month, features an integrated cargo design with built-in cargo sensors, service life lasting the longevity of the asset, LTE network coverage, and the option to install on a full load. 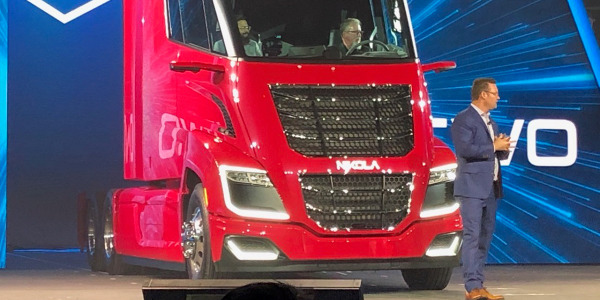 At the Nikola World event in Scottsdale, Arizona, Nikola Motor Co. showed off two new vehicles, the Nikola Two hydrogen electric Class 8 truck and the Europe-bound Nikola Tre. 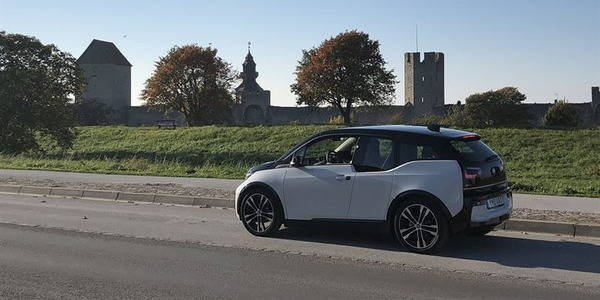 A joint government-private sector venture in Sweden is developing a road network capable of charging electric vehicles – including trucks and buses – while they drive. Two electric vehicle demonstration projects were recently completed by TransPower, developing Class 8 trucks and yard tractors for real-world use through grant funding. Meritor is an investor in TransPower. 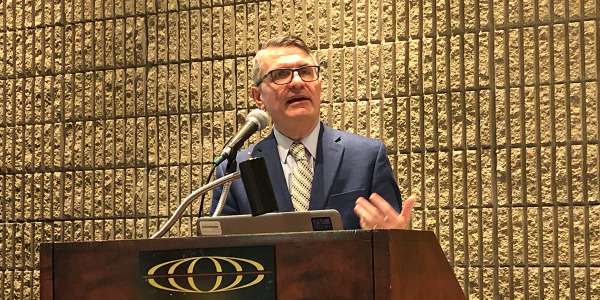 Advanced, non-traditional technologies can make diesel engines a lot more fuel efficient and environmentally friendly, according to Eaton. 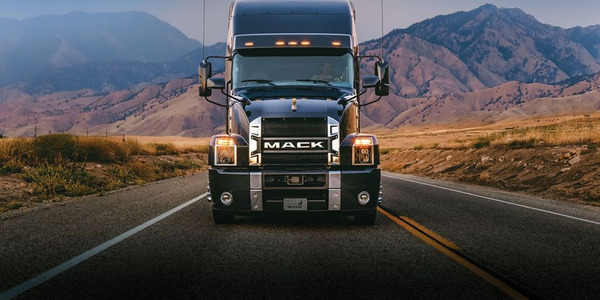 Mack Trucks has announced the #Mackonomics social media campaign which will feature two customers operating Mack Anthem models who will track their fuel savings efforts and share their experiences online. 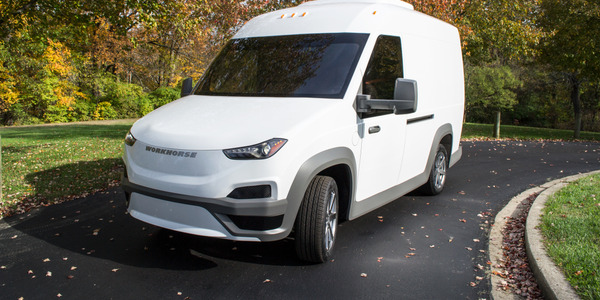 Nikola Motor Company recently signed a $16 million order to purchase equipment for the first phase of its advanced fuel cell development laboratory.